It was leaked back in March by @evleaks, but Huawei has today confirmed the MediaPad 7 Vogue, a 7-inch Android tablet hoping to claw back some of the market share won by the Nexus 7 and iPad Mini. 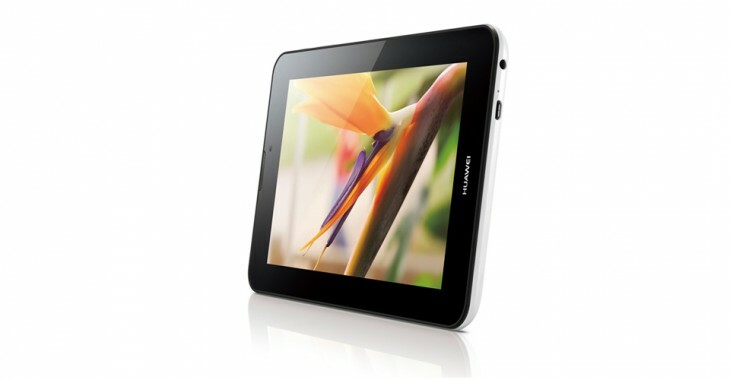 The new slate, available as both a 3G and Wi-Fi only model, sports a 5-point multi-touch IPS display at a resolution of 1024×600. It’s powered by Huawei’s own K3V2 Cortex-A9 1.2GHz quad-core processor, as well as 1GB of RAM and 8GB of internal storage. Consumers will likely fill that up in no time with apps, music and movies, so Huawei has also fitted a microSD slot for up to 32GB of additional space. There’s a 3-megapixel rear-facing camera capable of shooting 1080p video at up to 30 frames per second, alongside a 0.3-megapixel offering on the front for video calls, Vine and the odd Instagram video. Neither are particularly impressive on paper, but it’s clear that Huawei has built the MediaPad 7 Vogue for the low-end of the market. The tablet runs Android version 4.1, as well as Huawei’s own Emotion UI skin that bundles in a smattering of exclusive apps and themes. It also runs on a 4100 mAh battery, which is competent but slightly below the 4,325 mAh offering stowed in the Nexus 7. Richard Yu, CEO of Huawei Consumer Business Group also revealed today that the MediaPad 7 Vogue is capable of making calls, putting it in league with the Samsung Galaxy Tab 3 and the Asus Fonepad. The tablet will be available in black and white and will be launched in China later this month, with other markets to follow. Pricing is yet to be confirmed. 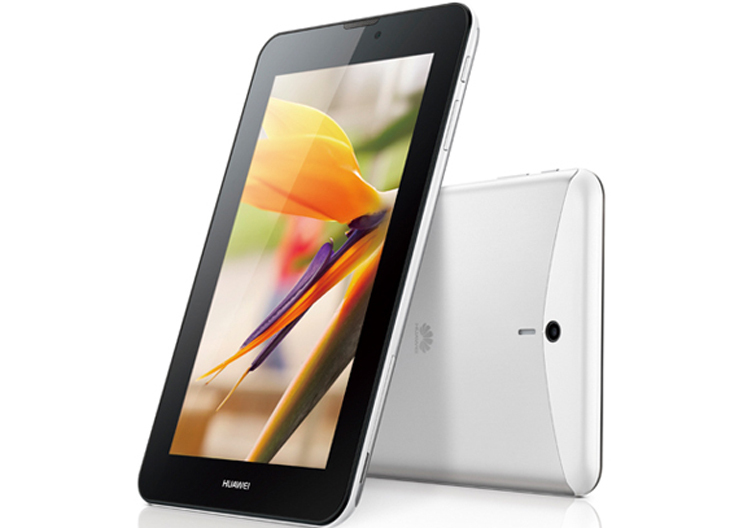 The MediaPad7 Vogue joins the Ascend P6, Huawei’s new flagship Android smartphone which was unveiled last week in London. The company claims that it’s the slimmest smartphone in the world, coming in at just 6.18 mm thick, and will be launching it in China later this month and Western Europe in July with an RRP of $588 USD (€449).